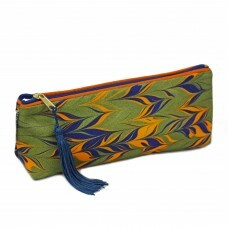 A striking and original cotton make up bag or pencil case. Hand marbled and designed from the much sort after Whitehorn label. 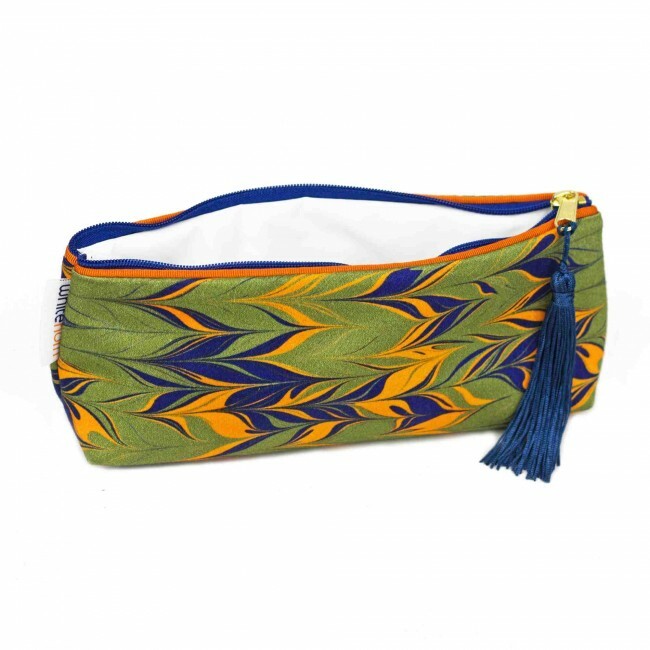 The Huron cotton make up bag or pencil case is camoflage green, yolk and dark blue in colours. It has burnt orange trim and a navy zip with a french navy coloured tassel. Inside there is a white waterproof lining.